Lüneburg is a small old city in the Lower Saxony, Germany, approximately one hour by train (around 45 km) from Hamburg where Lüneburg is a part of its greater area (Metropolitan Hamburg). Lüneburg was known since medieval era as a city that produced salt for the north regions. It was a major salt supplier, in order to pickle the herrings caught from the Baltic Sea, due to which it shortly became a member of the Hanseatic League. The old town spirit of trading and merchants is still however quite strong during the modern days. 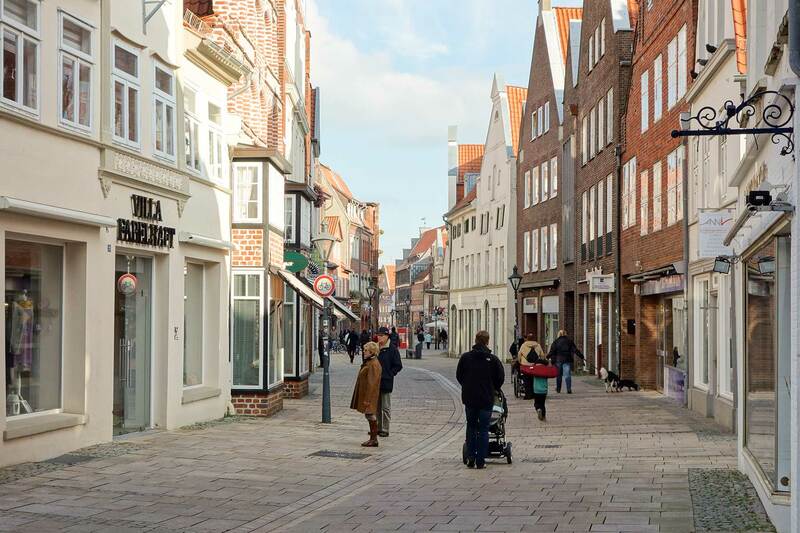 Nowadays, Lüneburg has grown into a nice neighborhood, university town, and localized commercial area with 72,500 inhabitants, which strongly keeps its German urban features and traditions. Lüneburg is one of the few towns in North Germany whose historic center was not destroyed during the Second World War. During the 1950s and 1960s the city has been damaged due to salt mining-induced land subsidence, whereas so many historic buildings were neglected. New contemporary architectural design also came in, as being found mostly as modern shop houses that occupy previously dilapidated sites. But since the beginning of the 1970s, Lüneburg has been carefully and gradually restored. The city is relatively flat, only four or five-storey height at the most, but signifies a typical old style red brick architecture facade along the urban street rows that is very well known in the northern part of Germany (see pictures). The scale of the city is very human, where every corner of it is walkable and explorable, with various sizes and types of culinary and shopping spots, pottery and art workshops, which you probably cannot find anywhere else. Lüneburg is a perfect city to spend a relaxing weekend, away from the hustle bustle environment (although for some people might be rather boring). However, the ambiance offers a perfect setting where people can just do spazieren gehen (in German) or street sauntering all day, having coffee outdoor, or window shopping, sightseeing, or enjoying the local culinary culture. Public transportation, such buses and trains, including private taxis are abundantly found in this town, which are not only meant to support its neighborhood and the students community, but also as main important factors to keep the city sustain as a tourism spot for the local tourists. It can pertain both new development of modernism and old traditional or historical values to form an interesting urban area that differs from its mother city, Hamburg. Therefore, in its way, Lüneburg is a perfect model and proof of successful ecological economy, in a ruban setting, where urban life meets rural characters without being too consuming.